يحظى فندق Oaks Cypress Lakes Resort بمكان متميز في محور المدينة والاستمتاع بـ رومانسية, مطاعم, سياحة في هذه المنطقة الفاتنة. يسهل الوصول إلى هذا الفندق ذو 4.5 نجوم من المطار، فهو يبعد عنه مسافة 3 km فقط. يضفي محيط الفندق اللطيف وقربه من أكثر المعالم السياحية جذبًا سحرًا خاصًا على هذا الفندق. إن حسن الضيافة والخدمات الراقية التي تعرف بها Oaks Hotels & Resorts تغني تجربتك في Oaks Cypress Lakes Resort. يمكن لضيوف الفندق الاستمتاع بالميزات التالية على أرض الفندق: مكتب الاستقبال على مدار الساعة, مرافق مخصصة لذوي الاحتياجات الخاصة, تسجيل وصول/خروج سريع, تخزين الأمتعة, صف السيارات. تنعكس أجواء Oaks Cypress Lakes Resort في غرف الضيوف.تلفزيون بشاشة مسطحة, اتصال لاسلكي بالإنترنت, حوض الاسترخاء, غرف لغير المدخنين, مكيف هواء هي بعض الميزات الموجود في العديد من الغرف. صممت خدمات الاستجمام في الفندق والتي تتضمن حوض استحمام ساخن, مركز للياقة البدنية, ملعب جولف (ضمن العقار), حمام سباحة خارجي, سبا لمساعدتك على الاسترخاء والراحة. يحظى فندق Oaks Cypress Lakes Resort بموقع ممتاز وخدمات يصعب منافستها. Our one bedroom villa was roomy, fresh and well appointed. Quiet and relaxing with excellent facilities. Location was great, close to wineries, including Bimbadgen where they organised shuttle buses to and from a concert we attended. 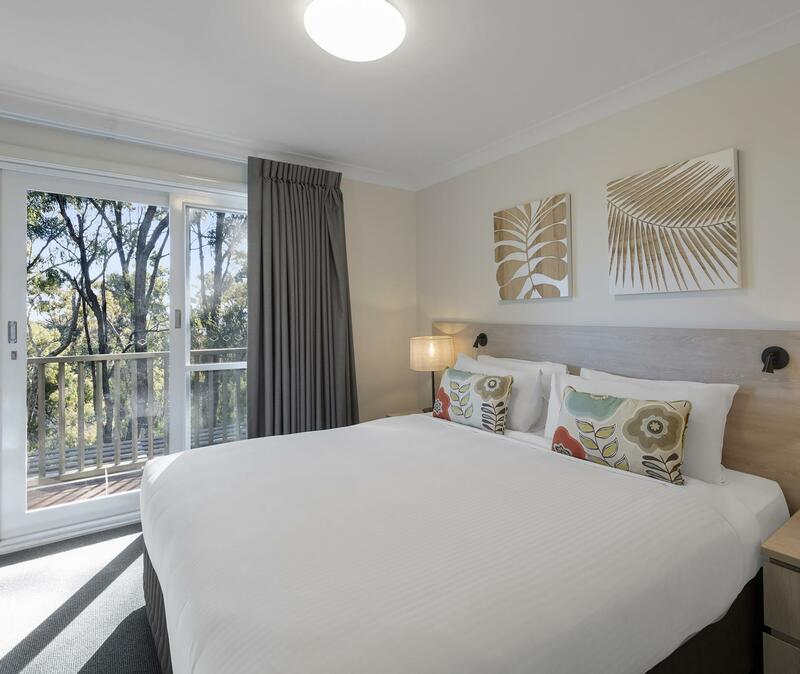 The only reason I wouldn’t recommend to others is the bed is uncomfortable and if you want the air con on at night you’re stuck with a bright green light shining in your room all night and in spring/summer you need the aircon as it’s really hot in the hunter. Also if you have people in the room above or below you can hear everything. We booked a 2 room villa. The view from the balcony was just fine (woods) but then we saw Kangaroos playing there in the morning. Surprisingly there were barbq grills in both neighboring villas but not in ours so don't forget to ask for it if you are planning for barbq. Breakfast was fine and staff was very kind. We had a lovely 2 bedroom apartment on 2 levels. 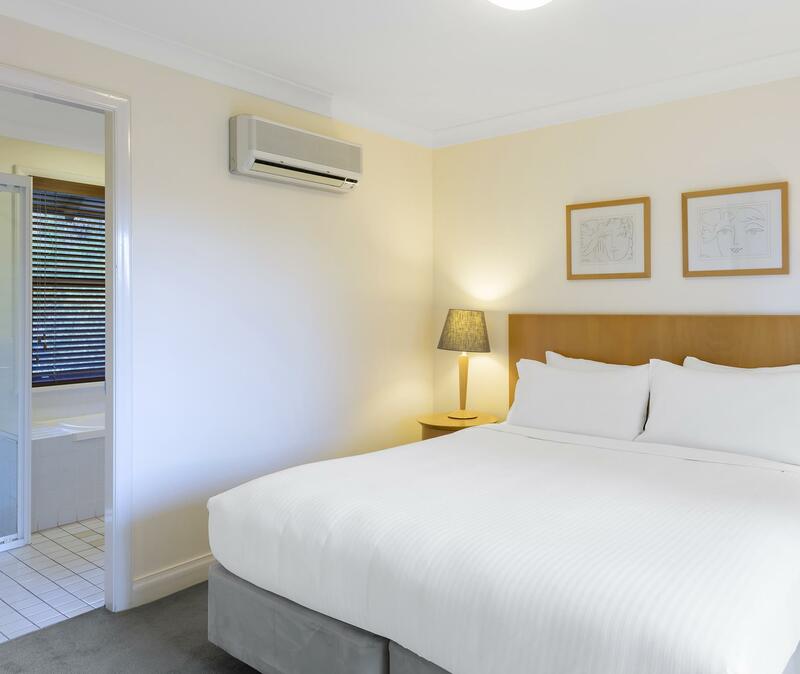 It was comfortable and clean and definitely recommended to any family visiting Hunter valley. It's location in the heart of all the wineries, cheese and chocolate factories made it our number one choice. The entire resort is filled with freshness because of abundant trees. So much open place to walk around. We have stayed in a single bedroom villa with a view of the golf course. We could see lot of Kangaroos playing in the golf course. The room facilities and service offered by staff is impeccable. Would definitely recommend for anyone - couple, family or group of friends. Would recommend asking where your room is - we were at the back of the resort, up a steep hill. It was a hard climb up from the main resort/pool - it was actually easier to drive, given the heat on the weekend we were there. Our room was 727. Otherwise, fantastic resort. Great location near the wineries. The room was dated but very clean. Lovely balcony overlooking the natural landscape. Rooms are a bit dated but very clean. The balcony furniture was well passed its best days. This place was really great. Stayed for two nights with our two young daughters. They loved the pool and hot tub. We lived the huge two level, two bedroom apartment facing the green. The restaurant was reasonably priced and accommodating when I didn't like the bottle of wine I bought. I doubt I'll ever go back to Hunter Valley as we live in the US, but this would be my first pick if we did. Had only a night stay in this wonder 3 bedroom villa. Staffs were friendly and helpful while we had a late check in. It is a pity that we did not stay for another night due to our schedule. We did not get to fully utilise the kitchen and balconies. Beds were comfy & great location. Only con that it is a little pricey. We have stayed here a number of times and the 2 and 3br villas are great for a weekend away with couples. 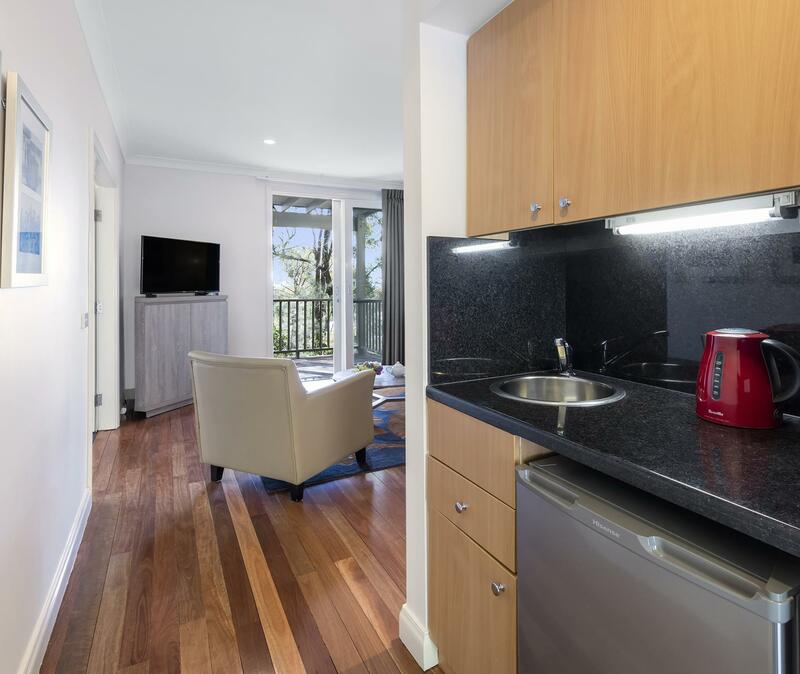 Staff are helpful and friendly and its a good base for a weekend in the Hunter. 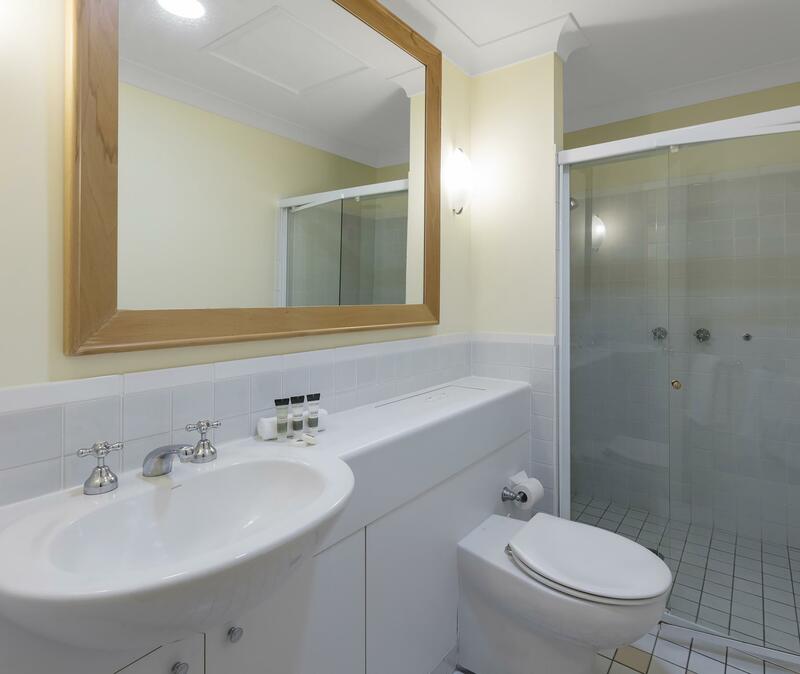 Downside is that the interiors are tired (needs is for a refurb in the kitchen and the showers still leak all over the bathroom floor, the furniutre in our unit was marked.Its time for the manager to spend some money as there are other options. The accommodation was pleasant and comfortable. Great value for your money. Although quite annoyed that upon check in, receptionist did not inform us that there will be charges for a port a cot. If this was the case we would have used our own not worth the $20 if you ask me. Great place to relax. Breakfast was included and made the most of it. Stayed in 3BR Villa. Spacious and comfortable. If to be critical house keeping takes time to serve but can give them benefit of doubt that it was really busy period (Easter 2016) when we went there.